The Main Game Window has four major parts. The Detail Pane is your close-up view of what's going on. 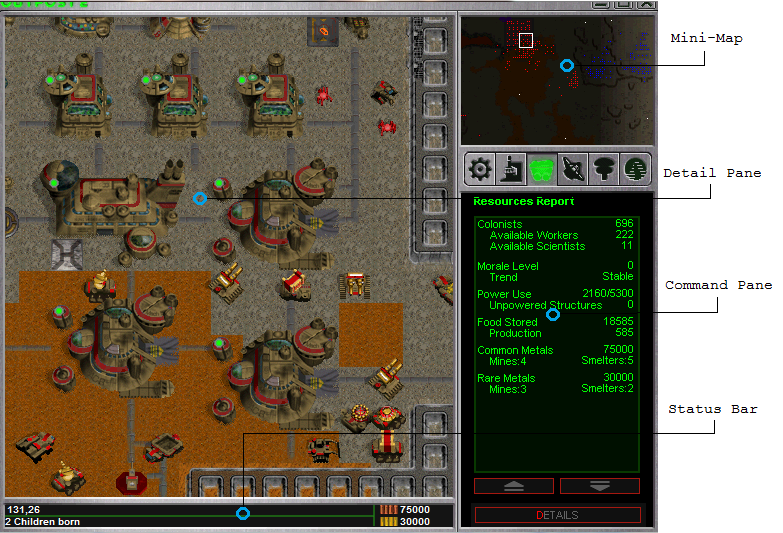 The Command Pane shows information about, and issues commands to, all of your structures and vehicles. The Status Bar displays messages from your Savant computer, and allows you to send and receive chat messages, and to see your current stock of metals.